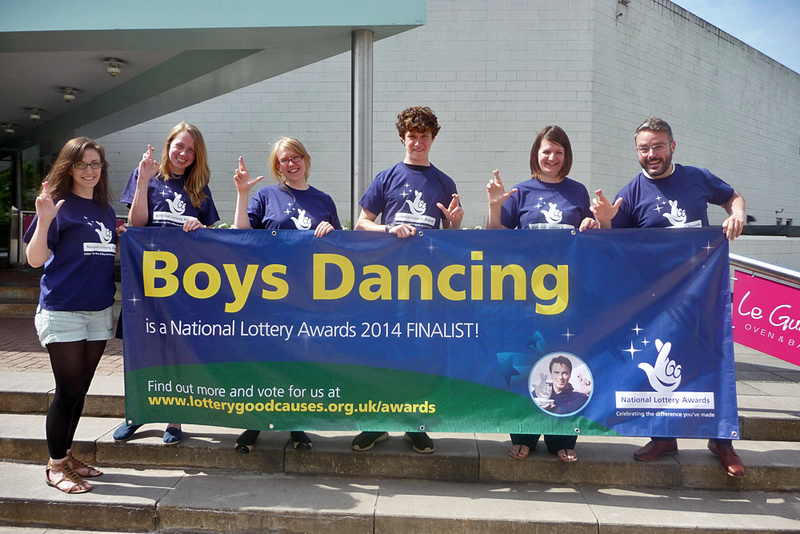 Staffordshire has enjoyed three years of partnership with Boys Dancing, giving opportunities to many boys around the county. Our piece 'Dark Water', one of six sections in The Quiet Man Suite, was a great success. 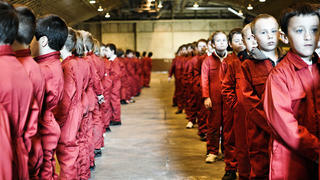 It involved four Staffordshire schools with 75 boys aged from 9 to 16. The secondary schools were able to give the opportunity to boys who had encountered dance the previous year to build on their skills and explore what they can do in this creative medium. 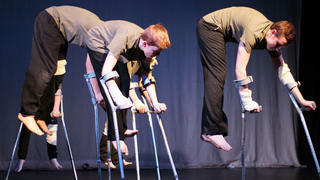 Entrust has worked alongside the choreographers to bring thought-provoking performances to new audiences. One of those new audiences was the Performing Arts Service itself, and this has inspired us to create the next project as a partnership of musicians and dancers. It's Day 2 at The Brewhouse in Staffordshire, and the group is getting creative with crutches. Mark is Co-Artistic Director of Highly Sprung Performance Company, which produces innovative and original projects that engage children and young people as performers. He is also a trained actor. Nick Smith studied Dance at De Montfort University. Since graduating he has performed in his own work and with professional contemporary companies, including AR-Men in the UK and Tutu Reloaded in France. 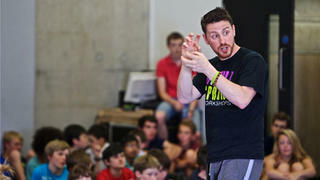 He teaches on a freelance basis with Coventry Performing Arts Service.